Given what happened around the middle of the last century, there probably is never a good time to start a public registry of Jews and Muslims in your country. And if you are the birthplace of Adolf Hitler and are ruled by a far-right government, then…. well you’re gonna face some backlash to say the least if you bring up that idea. 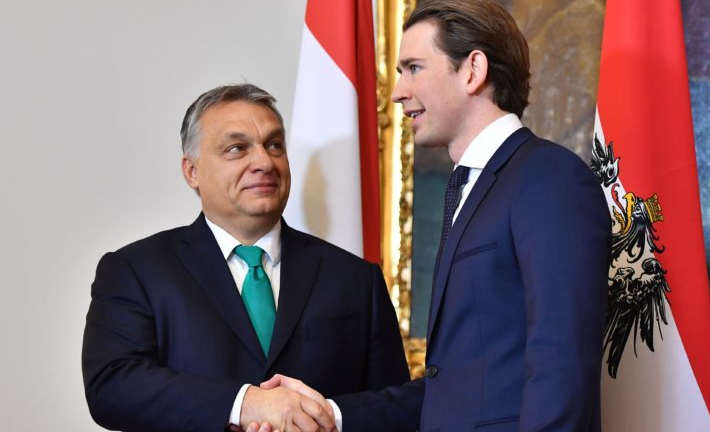 Jewish organizations were thus quick to criticize the far-right Freedom Party of Austria (FPÖ) which rules together with the Conservatives of Prime Minister Sebastian Kurz (pictured together with Hungarian Prime Minister Viktor Orban) after they proposed that Jewish butchers would need to register with the government if they seek to sell kosher meat. The same rules would apply to Muslim butchers who sell halal meat. The Austrian FPÖ party, which rose to fame under the leadership of Jorg Haider in the 1980s, has been plagued by Nazi-related scandals in recent years already and proposing a countrywide register of Muslim and Jewish butchers because of ‘hygienic measures’ will certainly not help. Yes, indeed, according to the FPO animal protection is in their interest as Jewish and Muslim religious laws require animals to be conscious when their throats are cut for the meat to be considered kosher or halal. However, critics of the production of kosher and halal meat say it is cruel with some even stating it is unsanitary.